Looking forward to our second year of collaboration with fine art, fine food, in a very fine venue! 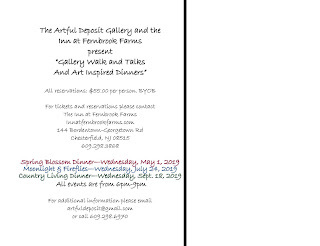 Please join the Artful Deposit Gallery at the Inn at Fernbrook Farms in Chesterfield, NJ for our "Gallery Walk and Talks and Art Inspired Dinners." 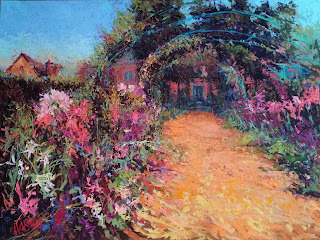 Gallerist, CJ Mugavero will give the Gallery Walk beginning at 6:15 as we stroll through the downstairs rooms of the beautiful Inn. Following each of the themed Walk and Talks, Chef Bill of the Inn will delight you with a unique "Art Inspired Dinner." And it is a BYOB! It is important to make all reservations through the Inn at Fernbrook Farms, and the menu for each of the three evenings will be posted several weeks before the dinner. Please join us for an evening of celebration of the Arts! Gala, 2019! Save the Date! 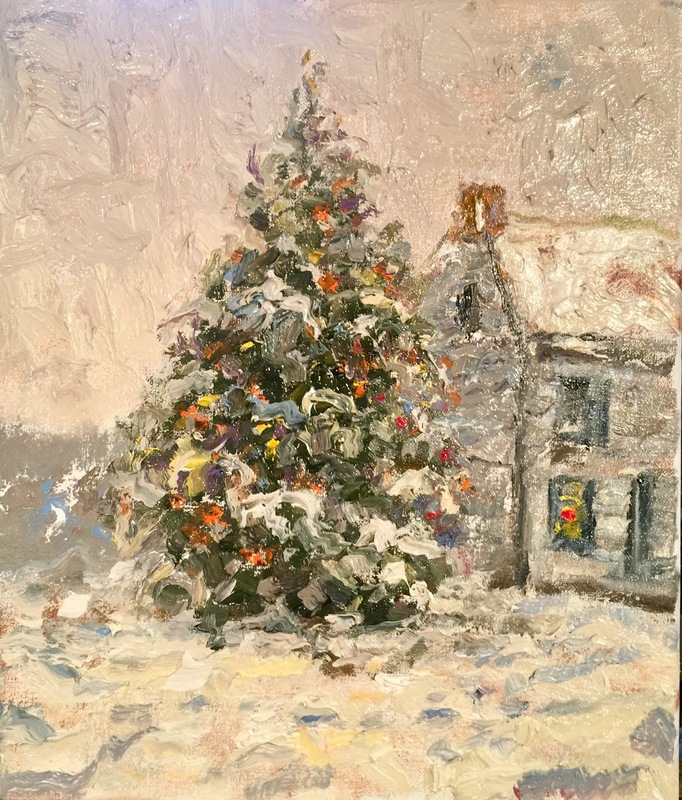 Just a "sneak peek" at a scrumptious 8x10 original oil by gallery represented painter, Barbara Courtney Jaenicke that will be gracing the wall at Gala, 2019! Please Save the Date of Saturday, February 23rd to join the Artful Deposit Gallery from 5-9pm at our Annex at the Inn at Fernbrook Farms! This gorgeous B&B on Bordentown Georgetown Road is filled with original art from the artists of the Artful D all year long! 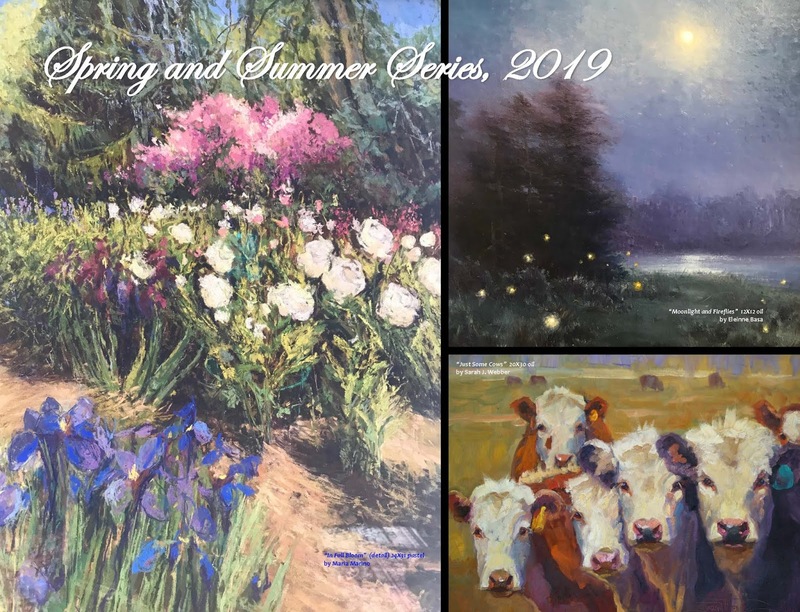 This annual Gala brings some new and exciting works delivered and shipped from the talented group of artists from all over America, and from Australia and Holland as well! 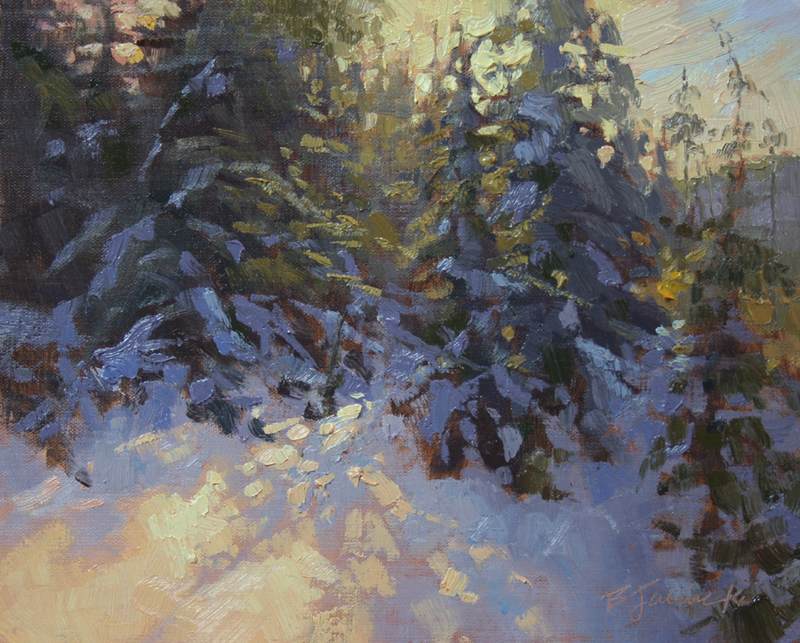 Join us for light refreshments and Fireside chats with the artists from 5-9pm! Tis the Season! 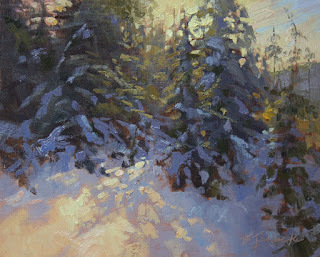 Bringing you the Joy of snow covered trees at the Artful Deposit Gallery. We are getting the gallery ready for the Holiday Season which means extended hours, gorgeous Winterscapes, and a Holiday Open House! 142 Farnsworth Avenue in Bordentown City, NJ for some fine art and Holiday Cheer! 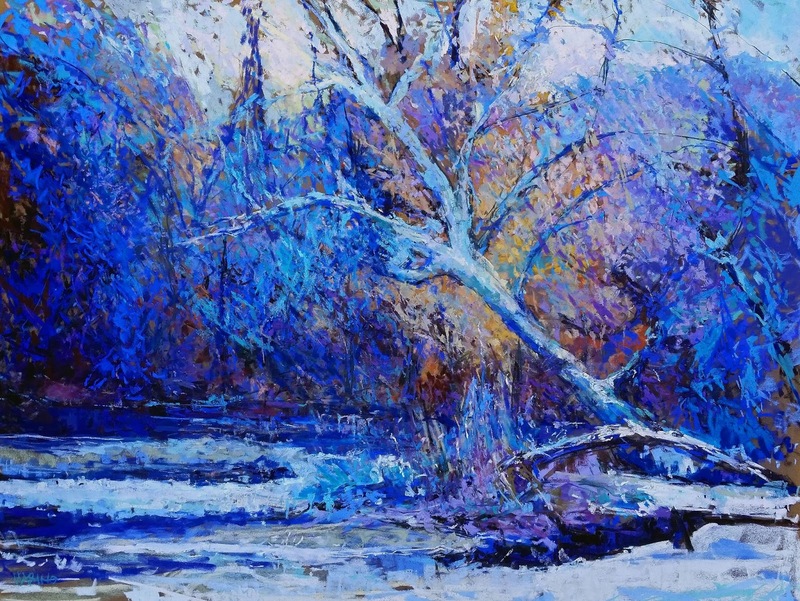 The artists of the Artful D are delivering and shipping amazing works suited to be the perfect gift or addition to your collection. The Artful Deposit Gallery is fortunate to represent some of the strongest talent in the country, with many of the artists enjoying national and international acclaim as well. It was not always this way. I opened the doors of the first Artful D in the Spring of 1986 in a bank building in a small town in Monmouth County, NJ. I am humbled by the artists who believed in me and brought their extraordinary talent to my new gallery. They stood by me as I navigated through the growing pains of owning and operating a small business. 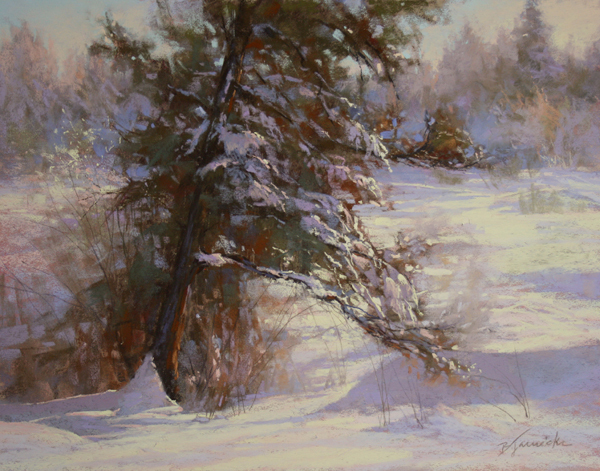 I am forever grateful to the late Marge Levine, Hanneke deNeve, the late Stefan Martin, and Ken McIndoe for entrusting their artworks with me. This initial group of artists were key to the gallery's foundation and reputation. 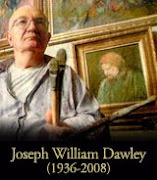 Through perseverance and a whole lotta' luck I was then able to recruit painters like the late Joseph William Dawley, and the long list of talent goes on from there. 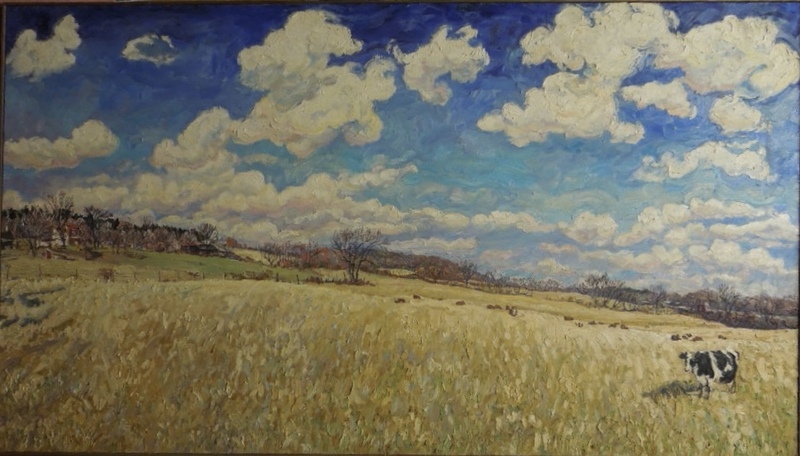 The painting above is from Ken McIndoe's archives. 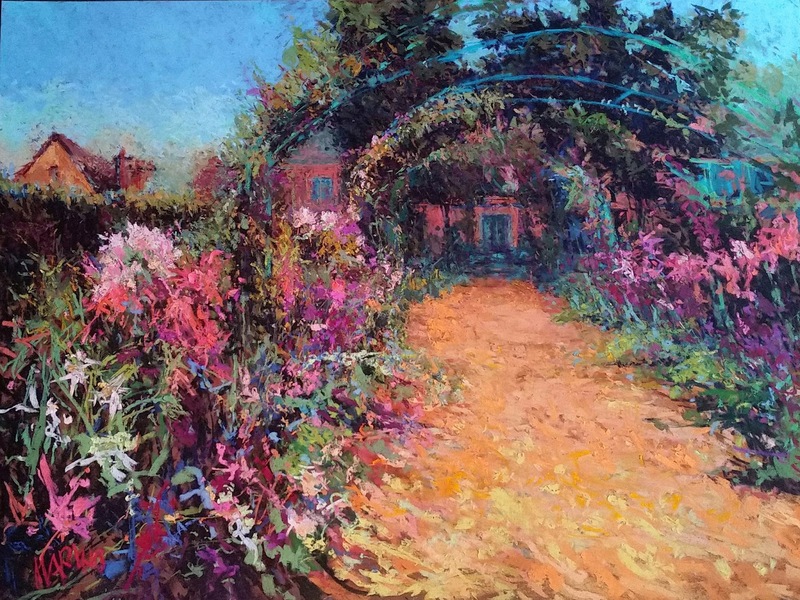 I love hearing Ken's stories as he described painting, "Sweet Emily," 41x72 on hand-stretched canvas, with his infamous lattice wood frame. He said he dragged two easels outside and painted this magnificent New Jersey landscape over the course of three days. Ken said," the forecast promised perfect weather, but that Sweet Emily did move around a little bit." This was painted in 1976. 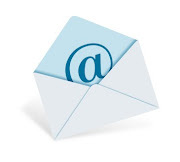 We hope to see you soon in one-square mile, Historic Bordentown City, NJ. Our pocket gallery with the gold walls has gallery hours Wednesday through Sunday and appointments are available. Happy rest of Summer, 2018 and Have an Artful Day! The Spring season has finally arrived and with it comes beautiful blossoms and the promise of new beginnings. 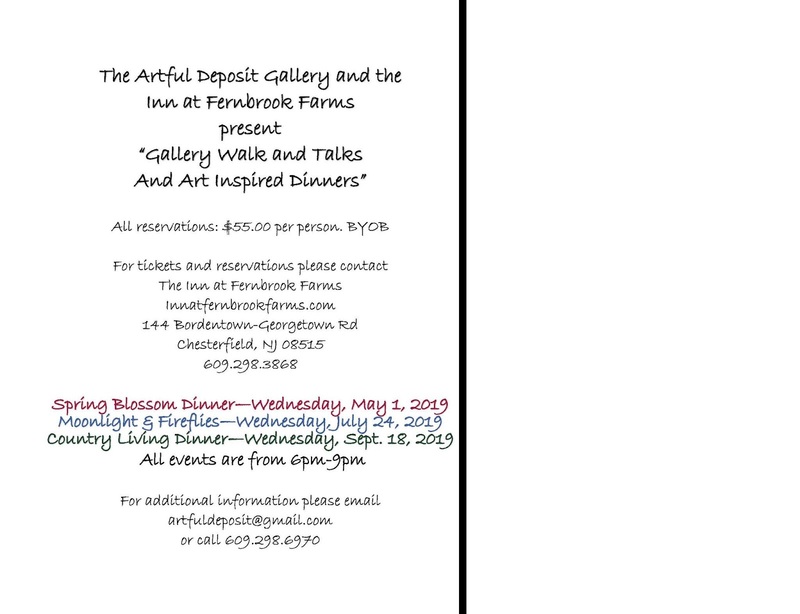 The Artful Deposit Gallery and The Inn at Fernbrook Farms have collaborated to bring you four very special evenings to join us for, "Dinner With the Gallery at the Inn at Fernbrook Farms." 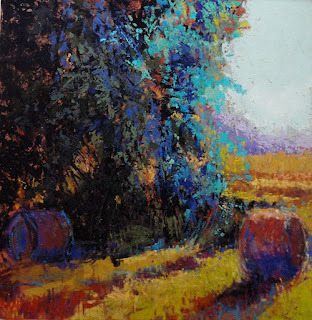 The evening will begin with a Gallery Walk and Talk, hosted by CJ Mugavero, owner of the Artful D. The original works of art will be provided by the gallery represented artists, and will be held both inside the Inn and out on the grounds, depending on the month and the conditions. Handcrafted seasonal meals inspired by the original works of art will follow, artfully created by Chef Christine Wendland of the Inn at Fernbrook Farms. The price is $45.00 per person, BYOB. 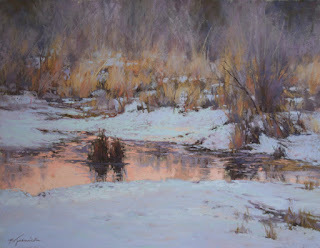 Looking forward to seeing you soon and Have an Artful Day! As we head into the 32nd year of the Artful Deposit Gallery, I continue to be in awe of the caliber of artists that I am honored to represent. I am surrounded by works that amaze and move me and know that art is a powerful force in this world. 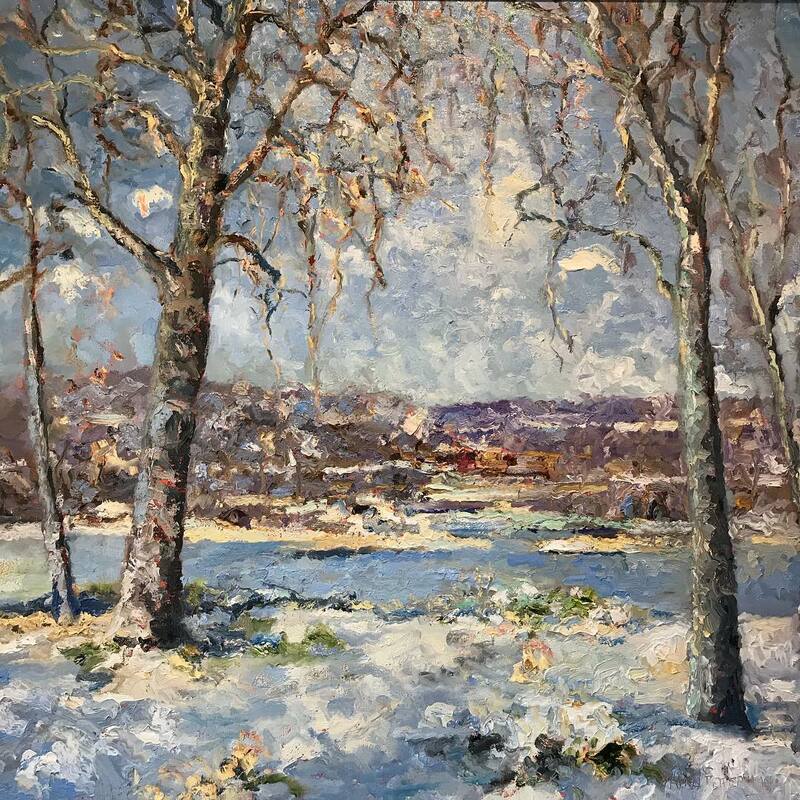 Wishing you Peace and Beauty in this magical Winter season, and for a very Artful 2018! 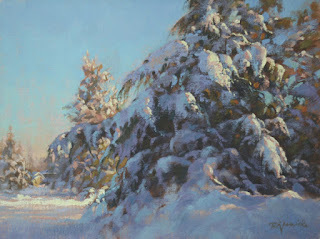 *"December, New Fallen Snow," 36x40 original oil by Alan Fetterman, Bucks County, Pa. 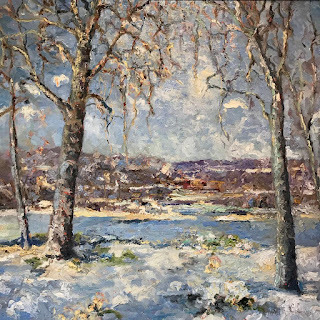 The artists and the Artful Deposit Gallery are committed to offering the highest quality of original fine art with a price range that affords collectors to both begin and continue their collections. The above works represent three of the six extraordinary talents that are Masters in Pastel....The Artful Deposit Gallery is proud to offer continual representation to Richard McKinley, Mike Beeman, AJ Wainright, Maria Marino, Barbara Courtney Jaenicke, and the late Marge Levine. We look forward to your visit to our pocket gallery on Farnsworth Avenue in Bordentown City, NJ. Gallery Days are Wednesday through Sunday, and appointments are available for your convenience. See you soon, and Have an Artful Day!